Iraq_Election_Martyr_Najaf_2: Election Day Martyr: Casualties of War: Global News Portfolio: New Orleans based Photojournalist covering the Deep South and beyond. 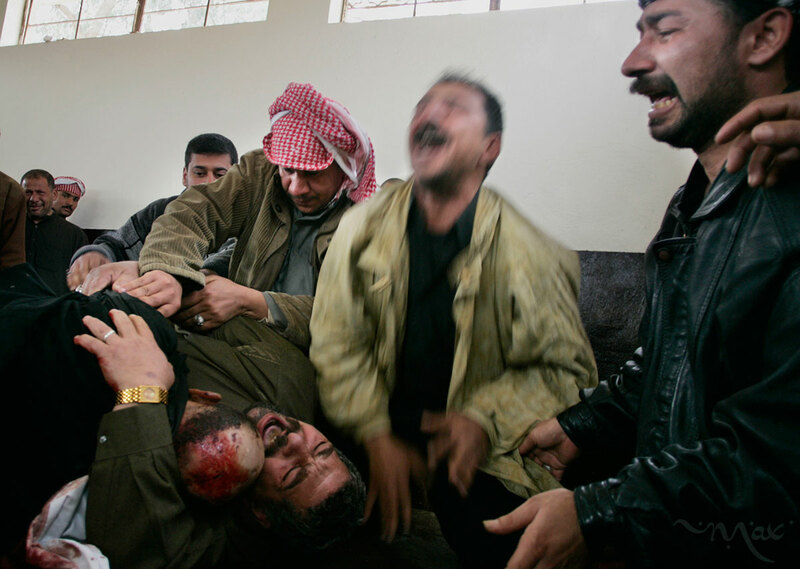 Karim Rahim Judi Yacoubi, bottom left, holds the corpse of his dead brother, Naim, 37, as he and his brothers, Salim, center in a green jacket, and Hadi, right, scream out in grief in the washroom where Naim’s body was being prepared for burial in the Najaf cemetery. Naim was killed during a suicide bombing on Election Day in Baghdad.